When I was pregnant with my oldest son, John, I felt lovely. 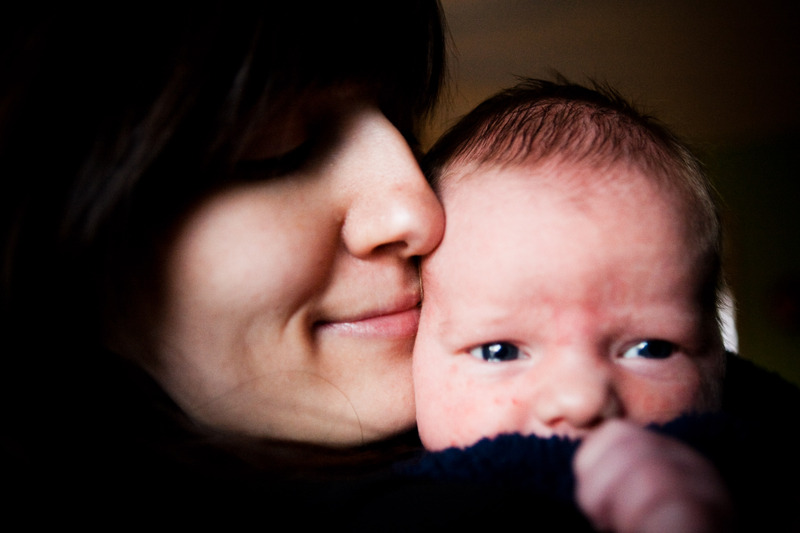 As soon as I learned I was pregnant, I knew his name and that he was a boy. My friend took maternity photos of my blooming belly. I read to him, sang to him and blessed him. I wanted to have a glorious welcome into the world. But not everyone in my world joyfully anticipated the changes children brought. In fact, the nearly unanimous decision of my friends without children was parents used their children as excuses to leave parties early or go to bed by 8pm. I was not going to be that kind of parent. When my long and arduous labor ended with his birth at 12:51 on a Monday morning, I was exhausted. I held him and smiled. He was whiter and softer than I imagined he would be. He was precious, perfect, with a darling nose, pouty lips and his father’s chin. He was happy, joyous really. But I didn’t feel much like a mother. As the months passed, though, it turned out it wasn’t exhaustion but fear that prevented me from feeling motherhood. In my determination to prove my friends wrong, I said Yes to everything and everyone, but not really to motherhood. Visitors poured through the hospital door starting only hours after his birth. 36 hours later, we returned home, and that night, we hosted our small group of 20ish people. I broke down in tears Wednesday morning from sleep deprivation and pain, but that weekend, I wrapped him in the Moby and took him to church. No one would say I was using my baby as an excuse to avoid life. Seven weeks later, I went back to work. I didn’t have a choice about working so I determined I would not cry when I left him and his dad at home asleep and crawled out to work before the sun snuck over the horizon. I did not cry. I smiled at pictures of him but I didn’t cry. I couldn’t let myself cry. I might not get myself back if I turned into that kind of mom. After two years of cramming motherhood into the rest of my life, I had to admit it. Motherhood had changed me. There was no way to live the old pace and pour myself into my child too. I had to make peace with the loss of my pre-parent life, as well as the grief of being at work and missing some of the moments of his life, because being in touch with the bad feelings meant I could feel the good ones too. And those were the payment for all the long hours and hard work of parenting. I had to have the good stuff. 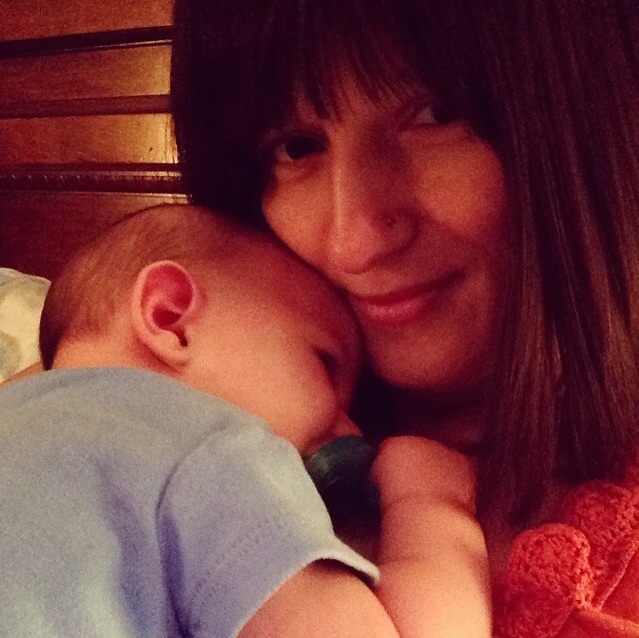 So two years or so into motherhood, I decided to take the risk and feel motherhood. I made peace with gentleness and vulnerability. I let myself mother and be a mother. When we finally got pregnant with our second child, I determined early to say No more. No to anything that wasn’t my baby. My family. Labor with the second started on Maundy Thursday. I laid down to get comfortable while John and Josh worked on Easter eggs in the kitchen. I laid very still and breathed. I smiled and prayed and sent pain away when it came. Labor went so well, I never left that spot until after he was born. The story will always make me smile. We breastfed, and it didn’t go well. But I got help. All the mothers brought food. I said No to hospital visitors and kept the house quiet. He ate and slept. I rested. It worked. The feelings were coming. Welling up. I started to feel like a mother. I didn’t cry when I went back to work because I couldn’t. Just couldn’t. But I let gentleness and nurture grow in my heart. It turned out feeling like a mother, enjoying motherhood, was more about what I allowed myself to do. I finally let myself be a mother, let myself say No to things that weren’t my children. I put the first things in the place that first things go. Mothers, if I may, I am going to give you a piece of permission. Not advice, but a go-ahead. You have permission to listen to your Mother Gut, to feel and then do what is best for you and your child. After birth, you have permission to say No to the visitors and the well-wishes and food-bringers. Just because someone brings you food or washes your dishes doesn’t mean you owe them a long conversation or time with the baby. No one has a right to touch or hold your baby. No one can make you feel guilty without your permission (thank you, for that gem, Eleanor Roosevelt.) No one can shame you into going to their party or wedding or graduation if you are new at motherhood and aren’t ready for the world yet. It’s okay. You will never have the quiet infant moments again. Not with this child, anyway. Why rush that? I wish I hadn’t let the non-parents influence how I parented. I wish I hadn’t given a crap about what people thought about me leaving a party at 8. Children have bedtimes. And I am tired from chasing them. Who cares what others say? I have no time for people who aren’t supportive. They aren’t friends anyway. I wish I’d said No to pretty much everyone after I had John, except a few close friends and family, who were genuinely there for nothing but helping and holding. But that’s because I’m lucky. If your friends or parents are more of a stress than a help, be respectful but you can say No. You can set limits. The limits we set are lines we draw around the people we love, and as the mothers, we are the ones who say who is in and who is out. The lines we draw around us are who we choose to spend time with and how long we let them stay. The lines are who we decide to let hold the baby when we should be the one on the couch, not in the kitchen. And if you’re too scared to say No, ask your partner or a good friend to stand guard by the door. They might be able to give your Thanks but No Thanks message better than you. And that’s okay. So mamas, here’s your permission. Go ahead and lay low. Stay in. Take the meals and send the visitors packing. Keep the shades drawn. Snuggle. Hibernate. Cuddle. The world will miss you, but we’ll all be there when you’re ready.